Invasive Aquatic Plants for Sale: To Buy or Not? 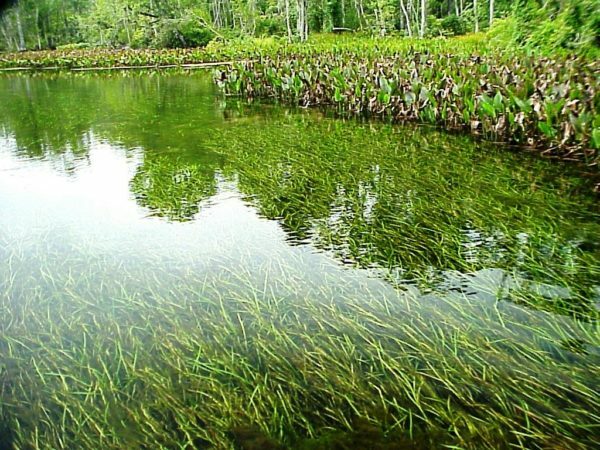 Invasive aquatic plants are non-native plants that outcompete native plants in a body of water, therefore possibly messing with the ecological balance. Typically seen as a nuisance and a threat in bodies of water, they’re usually removed and thrown away and have very little value, if any. 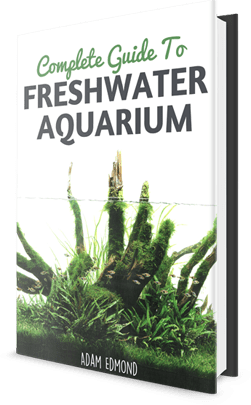 In the aquatic trade, however, it’s interesting to note that there are a lot of invasive aquatic plants for sale in pet shops that have become crowd favourites when it comes to keeping aquarium beautiful and clean. What is Constitutes an Invasive Plant? There is nothing intrinsically bad about invasive plants. In fact, the reason why some plants are marked as invasive is because they thrive a little too well due to the abundance of necessary nutrients, light, as well as the lack of a predator. That said, anything that can tolerate wide ranges of light intensity, as well as a wide range of nutrient levels, while also having rapid, unchecked growth, can be considered invasive. Duckweed are floating plants that could easily and rapidly grow into a huge, dense mass in peaceful water bodies. They’re one of the fastest growing plants out there, easily covering and outcompeting the non-floating plants below them for light and nutrients. This could result in a massive destabilisation of an ecosystem, as non-floating plants that used to house fry and other fish start to die, and more predators start to kill off more fry than what’s ecologically sustainable, therefore causing eventual starvation for those predators. In aquariums, however, they’re of great help, as they soak up fish waste quickly, and are quite easy to get rid of (just net some of them and throw them away). For tanks with more voracious plant eaters like goldfish however, it’s best to put them on a separate refugium to allow them to grow, since goldfish will gobble up your entire supply of duckweed in just a few minutes. Water sprite is another fast-growing plant that’s as beautiful as it is useful in keeping ammonia, nitrites, and nitrates down. Fortunately, unlike duckweed, water sprites don’t grow as fast, and provide ample protection for fry and small shrimps. It’s a bit more difficult to trim, however, since unlike duckweed, it’s not a floating plant and therefore requires getting your hands a bit dirtier. It also requires a little more light than duckweed, but still is a nifty little fern-like filter that fish and snails will enjoy taking a nibble out of every now and then. Also known as a waterweed and “the beginner plant,” elodea is one of the most forgiving types of aquatic plants out there, next to duckweed, of course. Like the water sprite, it grows really fast and is almost indifferent to most tank conditions, but the elodea grows much faster, therefore requiring more constant trimming. It also doesn’t need as much light as the water sprite, and will thrive in a wide range of substrates. If you want the hardiest submerged plant you can keep while keeping your tank water pristine, look no further than the Elodea. And because of this features that you see a lot of aquatic plants for sale are Elodea. Frogbits are basically like duckweeds with larger leaves. The density of their roots, however, make them dangerous as they clump together and almost completely prevent sunlight from reaching the plants below the surface. This can result in submerged plants dying off, and when frogbit die in the fall, the water’s oxygen levels drop significantly, and without submerged plants to help oxygenate the water, a lot of fish actually suffocate to death! Apart from that, when they clump together and grow into a huge mat of roots and leaves, they can actually impede boat movement and even be a problem for ducks and larger fish. In tanks, however, they’re perfect for producing a more subdued kind of lighting for fish that don’t like bright light. Their larger leaves also make them easier to grab and throw away, compared to duckweeds. The dark, dense roots also provide shelters for fry and shrimp, while also serving as a light snack for the larger fish. It is a large floating plant that has large leaves and thick roots. It almost looks like a blooming head of lettuce peeking out of the water surface. It’s typically found in ponds, since tanks don’t have a lot of surface for them to thrive in. They also tend to grow too close to the light canopy, therefore causing them to wilt away from too much light. The large size of this plant means that it is able to filter out ammonia, nitrite, and nitrates quite well, but it also means that you can’t really put a lot of this in a small tank. Its roots could also grow long enough to reach the leaves of the submerged plants, which can be aesthetically unpleasing to a lot of aquarists. Of all the aquatic plants for sale in most pet shops, this is probably one of the most manageable since it doesn’t grow as fast (just grab an excess lettuce and throw away or give to a friend). While a lot of aquatic plants for sale could turn out to be invasive in the wild, a lot of those plants are actually useful in captive conditions, so long as you keep them in check. Nitrates are a real problem in a lot of freshwater tank since they’re slow killers – they won’t kill your fish overnight, but a steady accumulation of them could debilitate your fish and make them prone to infections and organ failure. Cycled tanks make sure that the more harmful killers like ammonia and nitrite are kept in check, and well-planted tanks make sure that the slow killers like nitrates are kept in check. Having some of these “invasive” plant species in your tank should help keep your nitrates down, and as a result, also control micro algae growth (since plants will outcompete algae for light and nutrients). As an added bonus, your tank will look awesome, and your fish will have additional places to explore, hide in, or snack on.